Collaborative Content Marketing for small businesses. We help you create content that helps drive business sales. Most business owners know that customers search for things to solve their problems One quick smart-speaker search, or a Siri or Google search to find the answer to their current need or problem results in a search result. For your business, the key is to be that top search result. But with all the competition out there for those searches, Google rewards compelling, quality, and lengthy content. It also rewards video content and social media content, too. How do you produce written or video content when 1) you’re not a writer and 2) you’re not a performer? You partner up with someone who is! Collaborative Content Marketing is just like what it sounds like. A partnership between you, as the expert, and us, as the marketers, to create amazing content. You know your business better than anyone. We know how to communicate it. And the best part? It’s affordable? But wait, you say, hiring someone to write or produce my content is expensive! All that work! Research! Writing! Scripting! Filming! But what if you did all the talking, and we did all the capturing? Collaboration goes much faster than creation. Our Collaborative Content Marketing pairs you up with us – you talk, we record. You talk, we write. And we can do it quickly, affordably and easily – saving you time and money on content creation. Click here to contact us for more details on this affordable marketing program. Want to give content creation a go on your own? 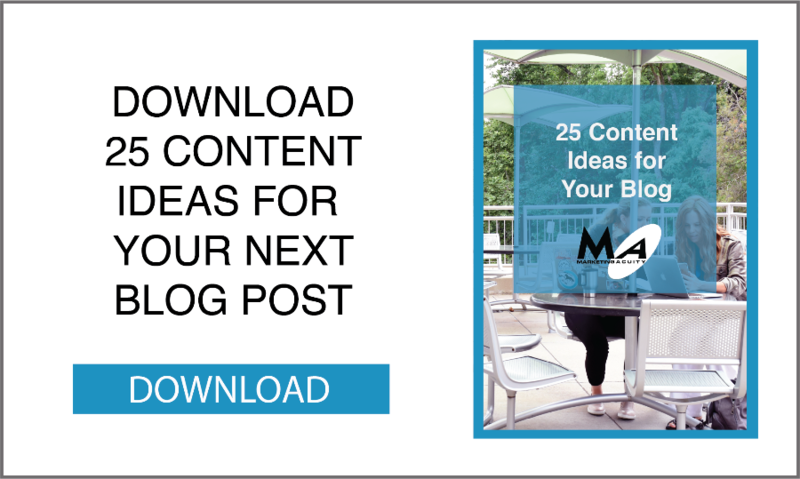 Sign up for our Collaborative Content Marketing Guide – how to come up with 25 different content ideas to share with your customers.